Have you ever watched a YouTube video, especially a do-it-yourself type video and wish you had a written copy of the instructions being spoken in the video? Well, I figured out a way to do this. To the bottom-right of the video, and just above the red subscribe button, you’ll see 3 dots in a row. Click on them. In the menu that opens, click on Open transcript, (if available). Then, on the right-hand side of the video, the Transcript window should open. 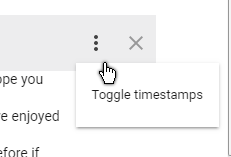 If you want to get rid of the timestamps on the left-hand side of the transcript, just click on the three stacked dots (Google really loves their dots 🙂 ), and click on Toggle timestamps. Do it again to turn them back on. Now, in my case using the Opera browser, I don’t have an option to select, copy or paste. If I print it or save it as a PDF, it saves the entire page as a graphic with tiny, blurry, impossible to read, type. Plus, the only Transcript that is saved is what is visible in that window at the time. But, you know there is a way to work around it, right? Press Ctrl + A on your keyboard to select everything. Then open up notepad, or your favorite text editor, and paste it in. The only downside here is that just about all the words on that page will be pasted to your new file, but a little bit of editing will take care of that. Another little suggestion— if you have a video or audio recording, and you want a copy of the text for yourself, just start a YouTube channel. Upload your recording and mark it as private and use this method to get the transcript. Delete the video afterwards if you want. It’s a little bit of work, but you’ll save a bundle rather than buying special software to do the job. I take it if a transcript is not available we are then SOL – correct? How accurate are the transcripts? 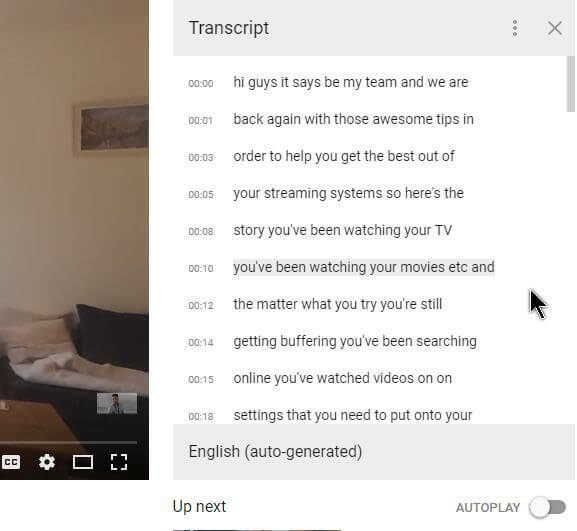 I’ve seen a number of YouTube videos with closed captioning, and the words on the screen bear very little resemblance with what is actually being said. I assume it is that same technology that is creating the transcript. Yes. my guess the cc and transcripts are one and the same. I’ve only done it once so far. 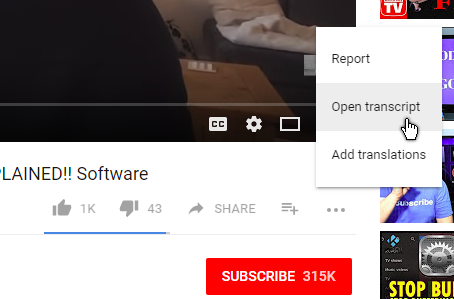 I wanted some videos on Youtube transcribed in the past and went searching for software but found mention of using Youtube. But they didn’t offer any explicit instructions. So I went to Youtube and started clicking around. Research indicates that Youtube offers two options for uploaders; one to submit their own scripts and two an automatic service . 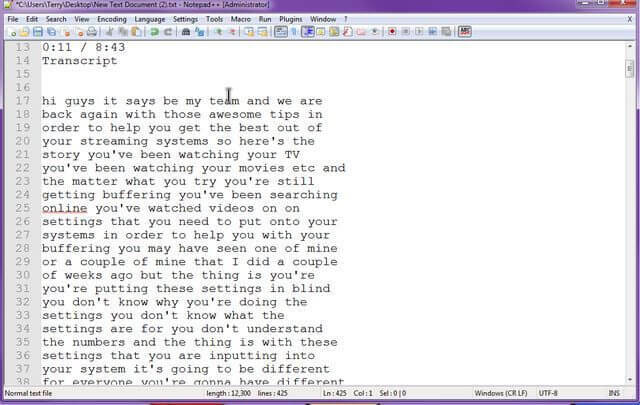 The user can edit both so I guess it boils down to the Youtube uploader to make sure their scripts are accurate.